The 9 inch plate: It is My 100 Day! It is My 100 Day! 100 posts! Today is the day! It is 13 months and 100 posts! Yea! Yes, it was 13 months ago today that I started sharing our journey with diabetes. As they say, "What a journey it has been." We have had some wonderful experiences and some scary as hell ones. I have learned that our experiences are nothing compared to those with Diabetes Type 1 or 1.5. Okay, I have learned that there is a Diabetes Type 1.5. I want to thank Karen at Bitter~Sweet for all the information that she supplies on her blog, for hosting D-blog week, and being nice enough to stop by here and leave comments. She has shown me how to be gracious in sharing information and how easy we have it. When I thought that I wanted to start this journey with you on this blog, I was wondering if I could be consistent with posting. I made myself write many posts before I even started trying to figure out how to put up a blog. I didn't want to start and then get behind and stop. I will say that it is harder to write when we are not behaving ourselves around here. I keep thinking that you don't want to hear about how we have started over again. But I think we are probably typical. If we had great habits of eating right and exercising, we would not be in this place. I have tried to be realistic about our journey. For example, I really am a horrible cook and I don't care. We really started out very confused and latched onto the 9 inch plate divided into quarters as our life line. We remember how confusing it was at the beginning. It is still confusing. Diabetes is not simple. And diabetes is really scary. I read more all the time and I worry. I really want Silent Sam to be with me for a long time. I kinda like the guy. It is nice to be someone's comic relief. When someone tells me that they are pre-diabetic, I want to sit with them and convince them that they really need to change. That they don't want to become diabetic. That it is worth making the changes that they need to make to avoid the disease. I know that my chances of getting through to them are not very high. They feel fine. Why change? It won't happen to them. I would not have listened or understood. I have learned so much over the last year. This blog has lead me to other blogs which have in turn taught me so very much. I now not only write this blog but I have another called Musings on a Life. I am part of a wonderful group of writers and have been amazed by their generosity. Writers love to share information. It is overwhelming at times but so supportive and wonderful. 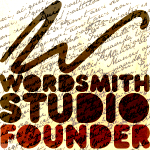 So thanks go out to all those at Wordsmith Studio. I am also writing a blog professionally for a great podiatry practice. They seem to like my "quirkiness". I do talk about diabetes there also. So thanks to Evanston Podiatric Surgeons their blog, We Care for Your Feet. All this and you were probably wondering if I am going to keep up and give you a recipe this week. I do have one for you. But you will have to stay tuned. I will send it out in the next few days. Yes, I have still been keeping up with my resolution. There have been some misses and I won't share those. I am still learning, after all. Congratulations on your 100th post, Carol, and thank you for sharing your journey! Happy 100 and best wishes for hundreds more! Are You In a Sorry Box?